Located at 250 Fifth Avenue South. The Abila room block at the Omni Nashville Hotel is sold out. Below, you'll find a helpful list of hotel alternatives nearby. The Omni was created specifically to be an authentic expression of the city's vibrant music culture. 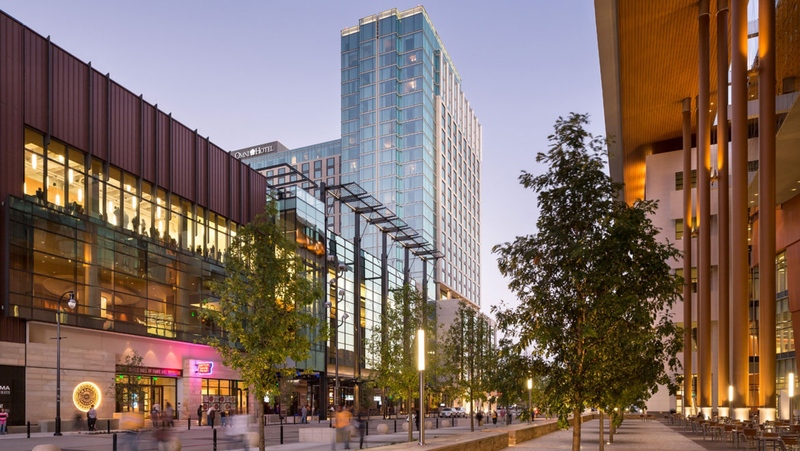 Across from the Music City Center, this downtown Nashville hotel is a one-of-a-kind experience, fully integrated with an expansion of the Country Music Hall of Fame and Museum on three levels. It also offers a multitude of services from the premier Mokara Spa, numerous dining outlets, and easy access to the city's best entertainment. The hotel is offering a special rate of $268 per night to all AUDC 2017 attendees. Visit: or see Google Map below for directions. This year we’re hosting our After Party at the Wildhorse Saloon on the evening of Thursday, April 13, so please be sure to book your stay through April 14. © All Rights Reserved. Powered by .